Flying Machines’ maiden voyage – their eponymous debut release of 2016 – announced the soaring, anthemic drive and cirrostratus serenity of guitarist Alex Munk’s jazz-rock originals. Now, joined by regular crew mates Matt Robinson (piano, synths, Fender Rhodes), Conor Chaplin (electric bass) and Dave Hamblett (drums), the band bursts through the ozone with second album New Life, their higher aspirations reflected in cover-art astrophotography of the Veil Nebula supernova. The galaxies they inhabit are a melange of indie/prog rock, composed/improvised jazz and ambient aura as Munk leads the way with distinctive electric guitar textures and precise melodic tones. Yet it’s the overarching rhythmic and episodic intuition of the quartet which elevates the majority of these ten tracks above the realm of subconscious soundtrack, filling the air with gritty hard-hewn fret action or contrasting time-warped atmospherics. Title track New Life’s overdriven metal-rock phrases against syncopated blows announce the band’s powerful intent, whilst Moondust offers a pop-friendly promenade of piano-embellished guitar purity. Elation’s new-age acoustic feel (with quiet chant) preludes its piano/synth ostinati, introducing welcome jazz improv from Robinson and Munk, all buoyed by Chaplin’s bubbling electric bass; and folksong-like Kilter can almost be imagined as a lyrical tale. Lush smooth-jazz Rhodes clusters/solos are just one element of Fall In’s breezy momentum, with Munk’s perky electric attack and rhythmic resonator-guitar chordal style adding much to its shining diversity. And weightless, echoic Take Time features intricate, featherweight percussion from Dave Hamblett, strikingly different to his solid presence throughout the album’s heavier riffage. Occasionally there’s a sense that a blistering tenor sax or left-field vocal solo could push Flying Machines’ quartet sound into an adjacent universe; and the inclusion of three particularly appealing, freely-improvised vignettes may provide a window on broader, future explorations in that direction. But for intelligently crafted rock-outs and jazz-grounded improv, New Life fizzes with light, energy and ambition. New Life is released on 19 October on Ubuntu Music, with the album launch at Pizza Express, Dean Street, on 22 October. 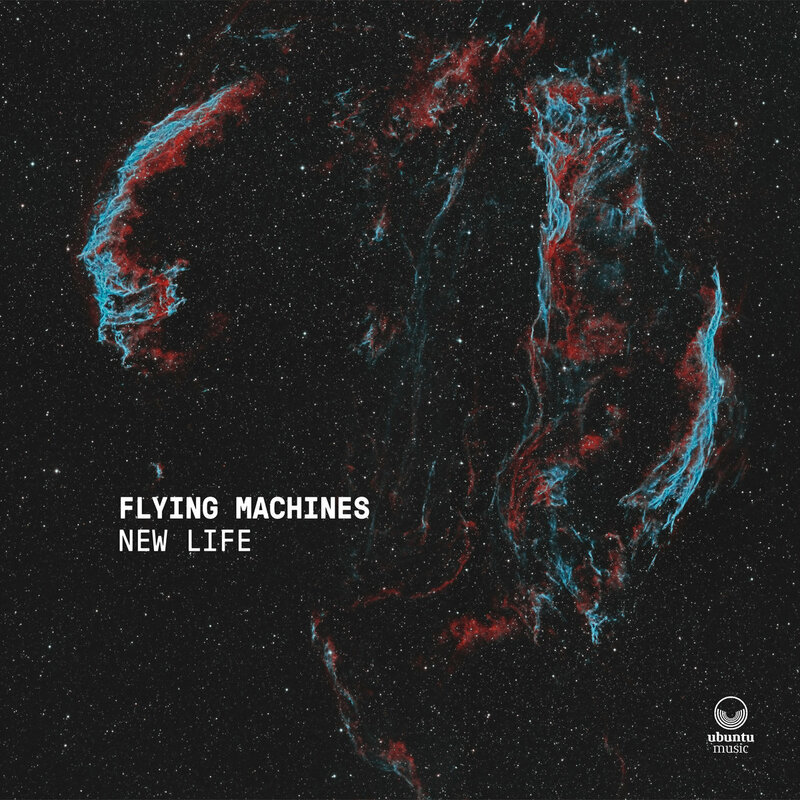 Flying Machines are also appearing at the EFG London Jazz Festival on 25 November.